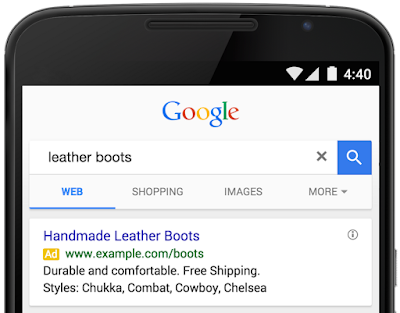 This week, Google have launched structured snippet extensions. These ad extensions give advertisers the chance to promote specific aspects of their products or services in their search adverts. Customers can better gauge what the content of each website will be before they click on an advert. This enhances the user experience and potentially saves you money by minimising erroneous clicks. With structured snippet extensions, adverts are made more relevant and helpful and can save time on campaign management. Until this week, these ad extensions were dynamically automated by Google, but now advertisers can actually pick their own ‘values’, as demonstrated in the picture below. Structured snippet extensions can highlight many things such as amenities, brands and product types. Advertisers select a predefined ‘Header’ and add in customised ‘Values’ which are related to their advertising goals. For example, if an advertiser wants to promote their hotel, they could pick the Header ‘Amenities’ and select the Values of ‘Free Wi-Fi’, ‘Fitness Club’ and more. These extensions are rather similar to Callout extensions so here is a diagram to highlight the similarities and differences between the two. 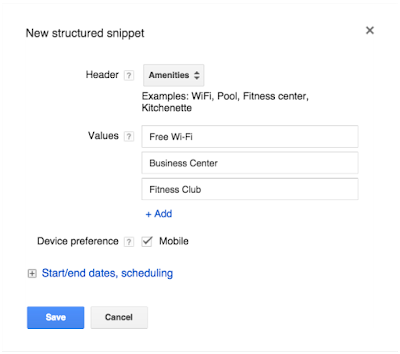 Structured snippet extensions will be available to all AdWords accounts over the coming weeks. However, they can only be created in English at the moment. Ad extensions are a factor in Ad Rank and typically boost ad performance so it is important to include them where possible. 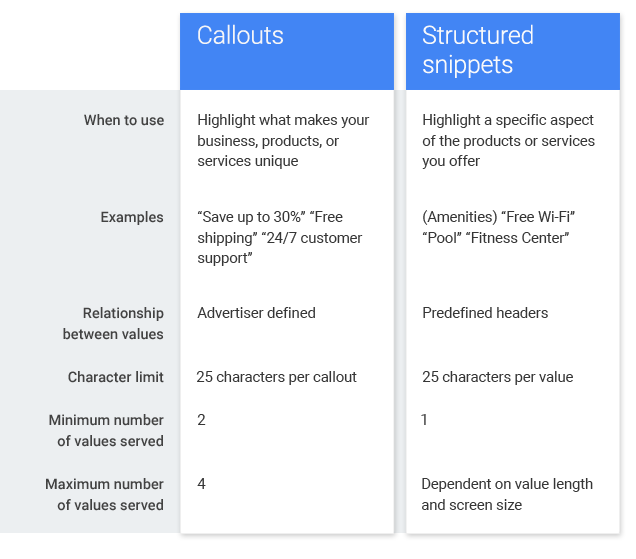 For more information about creating structured snippet extensions, visit the AdWords Help Centre or contact Keel Over Marketing.